Forge (v.) – to shape (as metal) by heating and hammering; one of the oldest working techniques of mankind. Forge (n.) – a place where objects are made by heating and shaping metal. 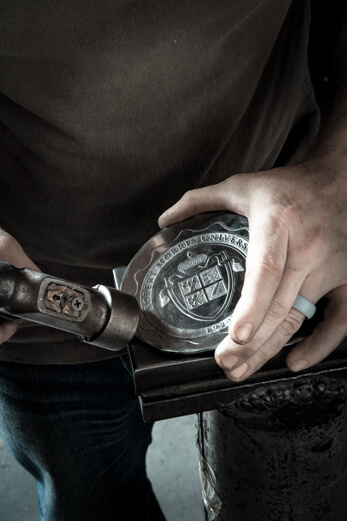 Wendell August Forge (proper n.) – America’s oldest and largest forge, where hand-wrought, functional art is created to shape your life’s special moments. Wendell August Forge is America’s oldest and largest, crafting hand-wrought ornamental metalware and elegant giftware since 1923. Founded by coal mine owner Wendell McMinn August, he would engage a blacksmith in his mine to hand-forge door latches for his home. With that, the birth of a new business. 95 years later, as the world seemingly moves faster than ever, Wendell August Forge is continuously dedicated to crafting gifts of enduring beauty. Just like a painting, each piece has a story. Each one different. From the signature of the die engraver hidden in the design, to the mark of the craftsmen hammered on the back, each piece is a celebration of our craft, and we will never take that lightly. 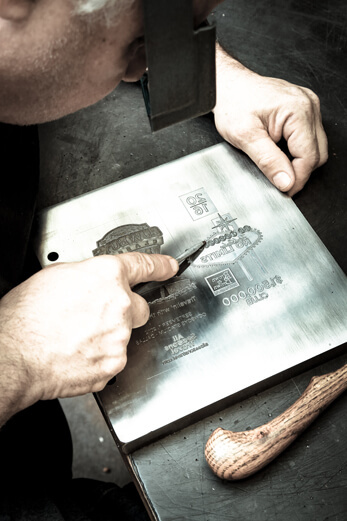 At Wendell August Forge, our expert artisans hand-etch original designs into a die. Each piece is then hand-wrought by skilled craftsmen, using an eight-step process with its roots in ancient metalworking techniques. 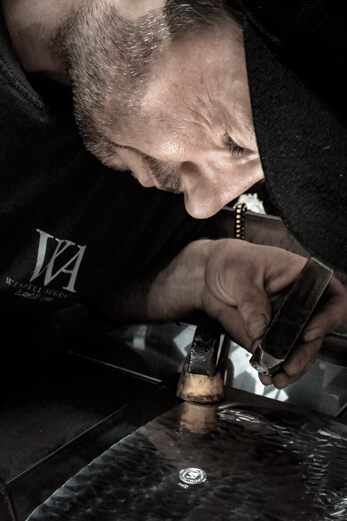 Our metalcrafters take pride in their work so that you can be proud to both give and receive the gift of Wendell August. Instant gratification and mass production may have become the norm in our culture, but time-tested traditions and “Made in America” have never gone out of style at Wendell August Forge… and they never will.